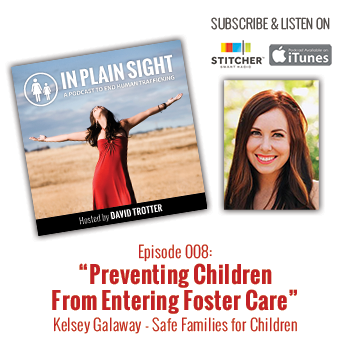 Kelsey Galaway is the Executive Director of Kwagala Project, an international organization that rescues and provides aftercare to survivors of human trafficking. From 2010-2013, she lived and worked in Uganda directing and developing 2 residential aftercare homes. Domestically, Kelsey is working with Safe Families for Children to expand the current scope of the organization’s programs to include at-risk youth and survivors of human trafficking. Why foster care can be a challenging experience for children. How Safe Families is preventing children from entering foster care. How your church or family can become a safe family.